SOPHE introduces our Collegiate Champion Program. 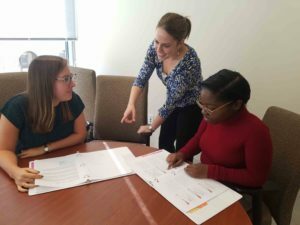 The Collegiate Champion program gives undergraduate and graduate students the opportunity to serve as liaisons between the National SOPHE Office and their respective college and university campus. What are the roles and responsibilities of Champions? Share news and information about the field of health education/promotion. Promote professional and academic award opportunities for students. Host events on and around the campus. Encourage national membership to SOPHE among peers and colleagues. Highlight the benefits of attendance at SOPHE conferences and events. Champions also spread the value of SOPHE membership benefits to peers – including the opportunity to network with others who work in elementary and secondary schools, universities, organizations, health care settings, worksites, and local, state, and federal government agencies to recruit new student members. SOPHE’s Students & New Professionals Community of Practice (i.e. SOPHE student/new professional ‘section’) will be utilized by Champions for networking, discussion, reporting, and growth as a SOPHE member. Each Champion serves a two-year term, the first year as a Champion and the second year as a mentor to the successor. SOPHE believes that mentorship is vital to the success and relationship-building of all Champions and program alumni. In addition to accessing SOPHE’s national membership benefits, Champions may choose to seek local chapter membership, volunteer and leadership opportunities and connections to mentors. Be a National SOPHE member at the time of application. Maintain SOPHE membership for the duration of the full academic year (August – May). Pursuing a public health, community health, health education/promotion, health science, kinesiology or similar degree for the full academic year. Identify a faculty advisor (SOPHE membership not required) to complete a faculty sponsor form with the faculty’s contact information, as required in the application. SOPHE will also seek photo permission from all Champions to share the great work you are doing. For additional questions, contact membership@sophe.org or call 202.408.9804.